Just bought my 4th VTR recently. 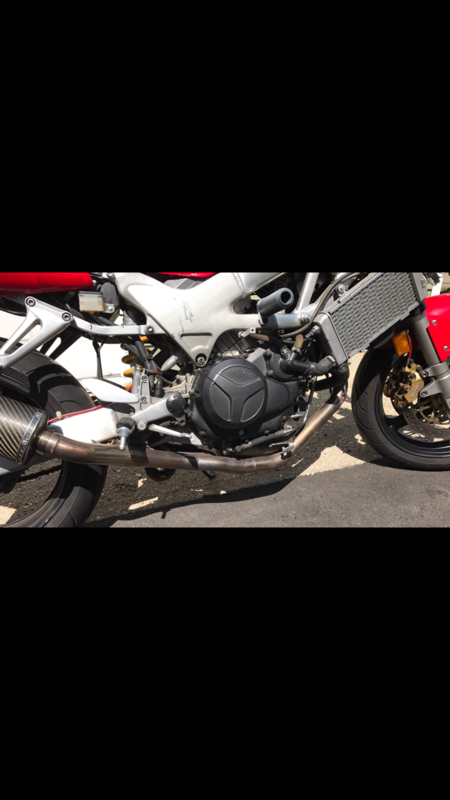 Seller said the header was an Akra? Is this a decent header for power gains over stock? Thanks for your input, as always.. Yes it is and yes they do. They were one of the better headers made for a VTR. Good info. Thanks for your response.